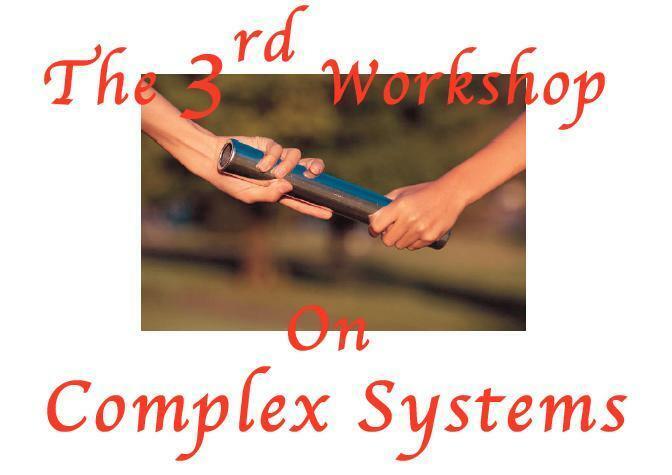 Sponsored by 21st Century COE Program "International COE of Flow Dynamics"
We are planning to have the 3rd International Workshop on Complex Systems for 16-19 November, 2005. The Workshop will be held in Sendai, Japan, as one of satellite meetings of the 2nd International Conference on Flow Dynamics together with the 3rd International Symposium on Water Dynamics. It is intended to be a meeting of about 70 participants. Our goal is to bring together the qualified researchers who are making excellent effort to study the complex systems in different fields and to discuss the underlying issues. The main topics of the Meeting are (1) Complex Fluids, (2) Glass Transition, and (3) Polymer Dynamics. This page will be updated when information becomes available. December 21, 2005 "Photos" opened. November 8, 2005 "Instructions for Presentations" opened. November 4, 2005 "Map to Official Hotel & Conference Site from Sendai Station" opened. October 31, 2005 "Tentative Schedule" renewal. October 25, 2005 "Tentative Schedule" renewal. October 13, 2005 "Tentative Schedule" renewal. October 5, 2005 "Tentative Schedule" renewal. September 28, 2005 "Tentative Schedule" renewal. September 22, 2005 "Tentative Schedule" renewal. September 21, 2005 "Tentative Schedule" renewal. August 31, 2005 "Tentative Schedule" opened. August 22, 2005 "Excursion & Banquet" opened. July 15, 2005 "How to remit" opened. July 7, 2005 Deadlines for Abstracts were changed. July 6, 2005 MS word format for Abstracts was replaced. Complex Fluids, Glass Transition, Polymer Dynamics, and etc. Contributions are invited to an oral presentation or a poster presentation. We will decide on the acceptance of the contributions by reviewing the abstract. Approximately 33 contributions will be selected for a 30 minutes oral presentation. The remaining contributions will be presented as posters. Preference for oral or poster presentation should be stated when submitting the abstract. Abstract template is available at our website (click here). 10,000 Yen for General participants. 8,000 Yen for all participants. asked to buy at least one of copies. No refund for any fees is available if canceled after October 1, 2005 (Japan local time). The Proceedings will be published from AIP.Those who will give any presentations are all asked to contribute a written article for the Proceedings because of our contract with AIP. If you will not, your presentation is cancelled. Click here. No more seats available for any presentaions and any social events. Hotel Leopalace Sendai　（Official hotel）. This is an official hotel at which all invited speakers will stay during the workshop. Hotel Information in Sendai City.